The SKB ATA Freedom Stand Transport Case provides protection for drum stands, hardware and other music stands and accessories. The case features a rotationally molded, slide-in cap enclosure that makes it compact for shipping. 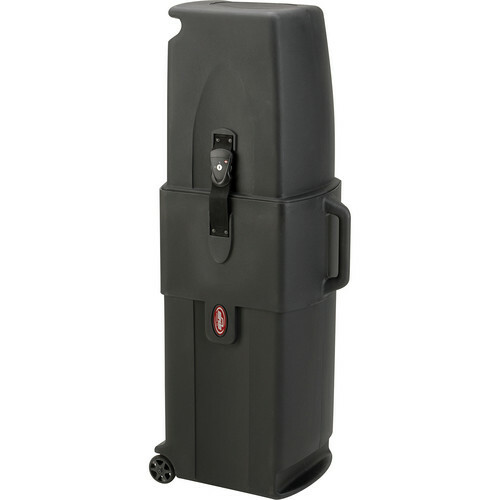 The durable case accepts a padlock for air travel and casters for easy mobility. Box Dimensions (LxWxH) 34.0 x 20.0 x 16.0"